blue polyester film is Jiangsu Yuxing main products,if you need blue polyester film,Welcome to contact us Jiangsu Yuxing blue polyester film manufacturer. ​insulation polyester film is Jiangsu Yuxing main products,if you need insulation polyester film,Welcome to contact us Jiangsu Yuxing insulation polyester film manufacturer. white polyester film is Jiangsu Yuxing main products,if you need white polyester film,Welcome to contact us Jiangsu Yuxing white polyester film manufacturer. Jiangsu Yuxing Film Technology Co., Ltd is one of the leading BoPET film manufacturers in China. Equips state-of-the-art production lines and testing equipments our products are of outstanding and consistent quality. We offer a wide range of functional BoPET film with thickness range of 50~400μm. Our products and service are throughout fields of IT, LCD, electronic & electrical insulation, solar cell module and textile industry etc. 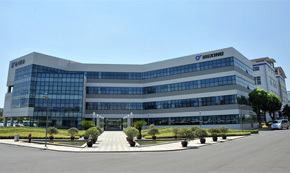 Jiangsu Yuxing Film Technology Co., Ltd was founded in year 2004. It is located in Changzhou City, Jiangsu Province, China.